Do you need a tasty yet healthy Christmas cookie? We've got you covered, with a dessert option that doesn't deliver a lot of calories and fat. 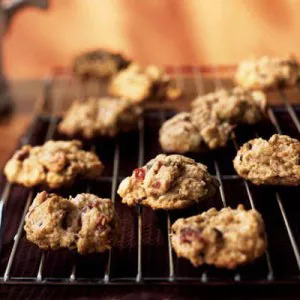 These Cranberry-Nut Chocolate Chip Cookies have a delightful nutty crunch and provide ample nutritional benefits. Antioxidant-packed cranberries and chocolate blend well with crunchy, omega-3-rich walnuts. You’ll also get a boost of fiber from oats and whole-wheat flour.